ABBEYFEALE ON LINE! : BASKETBALL WINNERS! 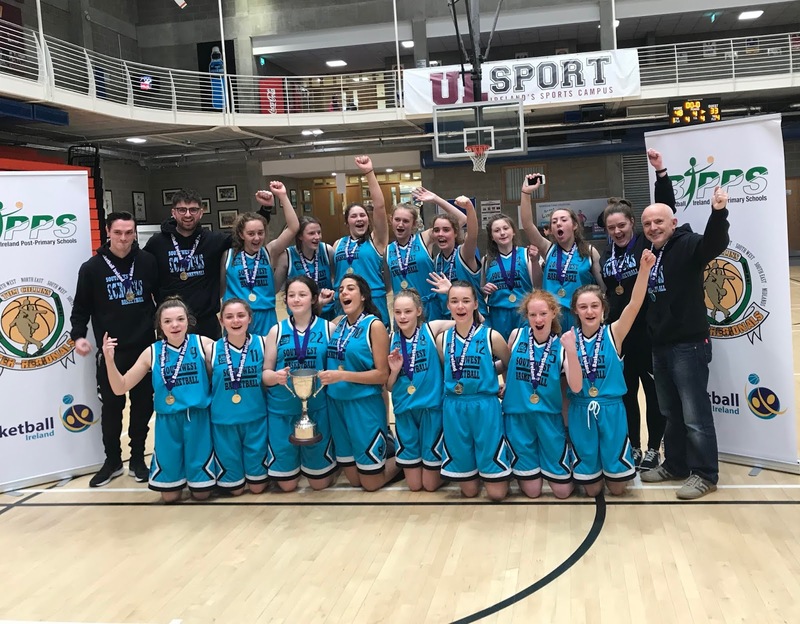 There was great success for students and teachers from Colaiste Ide agus Iosef at the annual Tom Collins Under 15 National Titles. The prestigious tournament organised by Basketball Ireland Post-Primary Schools Committee took place in University of Limerick. It sees players from all over the country playing for their region. 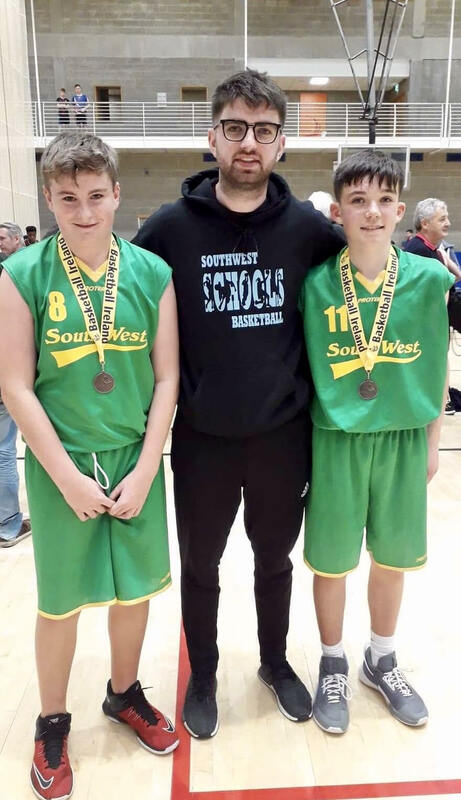 Two students from Abbeyfeale made the Boys under 15 team for the South West Region. They played through the tournament making the semi final where they received a bronze medal. Meanwhile teachers Niall Twomey and Aoife Shanahan were assistant coach and manager respectively for the South West Under 15 girls selection, who truimphed and won the All Ireland gold.